The decisions Nick and I had to make after learning of our failed plan were not easy. You see, I was raised in the Catholic Church and very much still practiced my faith. As a Catholic, in-vitro-fertilization (also known as IVF), among other fertility treatments, are not accepted. In fact, they are considered morally wrong to engage in. I knew this, hence the reason we wanted to avoid it at all costs. And actually, at the time, I was completely against it. However, unless you’ve ever been faced with being told you have a less than 5% chance of conceiving naturally and your body is essentially working against you to have a biological child, please reserve your judgment. I’m not looking for a fight or an argument about “my sin” but merely just sharing how we got to that point. In the next weeks (we really didn’t have time to make a choice as my condition was worsening by the second), we talked to a lot of people – Catholics, Protestants, priests, and people who went through the fertility process. My wonderful husband was willing to go to the ends of the Earth to make this happen for us and what was important to him was that we “gave it our all”; essentially “tried everything we could” to have a baby. If we still ended up with no baby, then we tried. We would look into other options, like adoption, if that was the path we were meant to be on. While what he said made sense and I just wanted to fall completely into that idea and not look back, I wanted to make sure my heart was in the right place. I wanted to make sure I would have no regrets. This was also an expensive decision and I was feeling super guilty I was the one that brought us to this place. I know it was out of my control, but the guilt was real. 1. 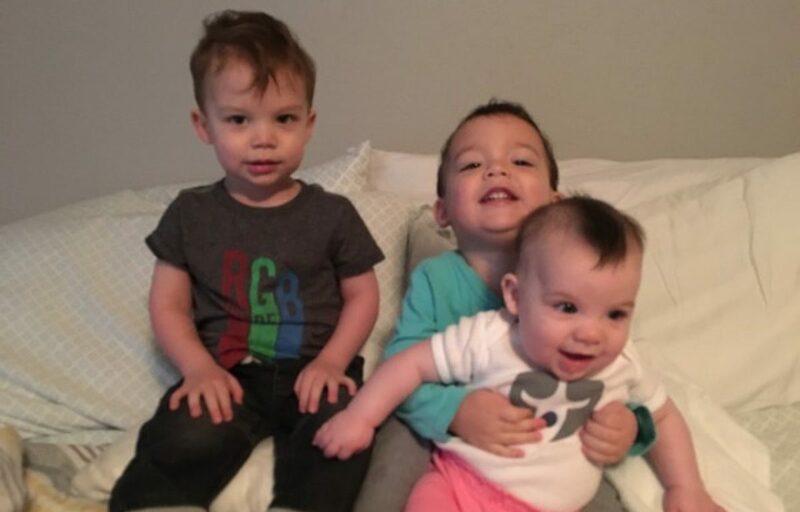 Her and her husband made a decision BEFORE the IVF process started that however many children they were blessed with in the process, they vowed to transfer them all in their lifetime. 2. That no matter what they did as a couple, if God’s plans were for them NOT to have children, it won’t happen. Science is great but if science REALLY could circumvent God’s will, then everyone who went through IVF or fertility, in general, would have children. Let me talk about the impact these two points made on us. The first one was right in line with how I felt about helping create these embryos. THESE EMBRYOS were going to be OUR CHILDREN and I couldn’t bear to not try to conceive them. I won’t go into every detail of the fertility process but many embryos are put up for adoption, abandoned, or given to science for testing. Neither one of these options were the paths that Nick and I wanted to go down so vowing to have however many children God will bless us with was something we felt we could commit to BEFORE we started. Let me tell you, we could have ended up with no children or eleven children, we had no idea! And even now, there are still no guarantees. The second point really hit home. We had no idea what we were really getting ourselves into and my naivety about the process led me to just believe we would have children. I mean we were going through all this and paying for it, why wouldn’t we have kids? Well, it’s about a 65% chance of conceiving when you transfer one embryo which is much better than what we were looking at naturally, but still not great. With the twins, we were looking at a slightly higher percentage of having one baby and a 25% chance of having twins. The process of taking all the medications and going through the procedures essentially had to be perfect to even get to the transfer of an embryo. What I am trying to say is that throughout the entire process, ANYTHING could have gone wrong. We could have faced financial hardship and not being able to afford the treatment which is in the tens of thousands of dollars range. My body could have failed to respond to the medications. The procedure to retrieve the eggs could have been unsuccessful. The combining of the sperm and egg could have failed and then the embryos themselves could have failed to multiply and grow correctly. Every single part had to work. Science is a wonderful gift but it’s not fool-proof. Nick and I confidently decided to go forth with IVF. The IVF journey is a beast and not one I will tackle in this post. However, we were blessed with 5 embryos. 5 children. Our children. Our family of 7. But this family of 7 has to wait a little bit. Many people…..most people, go through this life not knowing how many children they will have but we do. We know. At that moment, when we got the call of how many embryos survived, we knew we had 5 beautiful children awaiting their lives with us. That knowledge right there was absolutely the hardest part for me to emotionally handle. You see, I knew I had 5 children but I could only transfer 2 of them the first time around. I was lucky enough that both the embryos took. But during that pregnancy (it was tough so I had a lot of down time), all I could think of were my other babies. I had a lot of guilt for not being able to have them at that moment. I know in my mind I couldn’t but it still hurt. I am their mommy and needed to protect them and I couldn’t. Now, I am sitting here feeling my little wiggle worm rolling around in my stomach – my 3rd baby. My baby girl. I couldn’t be more excited to have her with us now. But my heart is not yet complete. It hurts a little less this time around then when I was carrying the boys but it still hurts. It’s so unexpected how the pain of infertility continues to creep into my heart and mind. I have no regrets whatsoever. Although, I am so excited to have the life I have with the twins and soon to be with little miss, there is not a single day that goes by I don’t think about my two children waiting for us. I always say to myself when I start thinking of them: “Daddy and I will come and get you one day. We will. We promise. You won’t be alone anymore. We love you so much.” In a way, it’s comforting because I feel like they are close but in another way it breaks me. And although it’s a pain I cannot even begin to describe and tears roll down my face, I know we will bring them home one day. That day, will be the best day of our lives because our family will finally be complete.